Can You Really Get Your Antioxidants From Coffee? You are here: Home / Blog / Can You Really Get Your Antioxidants From Coffee? In many ways coffee is a fascinating drink, because it is so prevalent in society, yet there are a large number of negative connotations associated with it. After all, high levels of coffee consumption are often associated with other so-called vices, such as poor eating habits or smoking. However, it is becoming evident that there are some significant health ﻿advantages ﻿of drinking coffee, particularly when it is consumed in moderation. One of the key questions underlying this discussion is, does coffee have antioxidants? Antioxidants are compounds that are most commonly associated with fruits and vegetables, particularly in foods like blueberries, strawberries and raspberries. Antioxidants are particularly significant because they have the potential to decrease some types of damage that occurs within cells. Antioxidants target free radicals, which are single electrons formed in some reactions that involve water. One of the key issues is that free radicals have been linked to aging (1). Some research suggests that some of the negative outcomes of aging, such as decreases in energy, may occur as the result of free radicals, indicating that antioxidants may have the potential to extend life. Likewise, antioxidants are also believed to play a role in the prevention of heart disease and strokes, although research into this area is still ongoing. There are many individual antioxidants out there. Some are more effective than others. They also vary in their reactions within our bodies. Polyphenols are one class of antioxidants that you'll find - and there are various compounds within this group. As a result, the best health benefits come from getting a wide variety of antioxidants. Coffee offers many of these - and drinking coffee is already a habit for many of us. Antioxidants help decrease oxidation and free radicals. By doing so, they may promote many different positive health outcomes. Antioxidants are actually present in a number of prepared drinks, including tea, coffee and cocoa. Of all of these beverages, the antioxidant activity is highest for coffee per cup. The addition of milk does not change the activity of the antioxidants (2). The level of antioxidant activity was actually found to be higher in green coffee than in traditional roasted coffee. However, this was only the case when the green coffee was unroasted, meaning that this observation is irrelevant to a cup of coffee (3). It might be surprising to think of coffee as having antioxidants, because it is perceived as unhealthy, but the drink does come from a plant originally, and coffee beans do have significant bioactive compounds. In fact, research has consistently indicated that the regular consumption of coffee can decrease the likelihood for death (4). Like many natural products, we simply do not know what it is about coffee that produces all of its health benefits. This isn’t unexpected, because coffee beans contain a large number of biochemical components, and we do not know what all of these are or how they interact with one another or with the human body. Coffee contains a surprising number of antioxidants, more than other types of drink. Coffee isn't an amazing source of antioxidants. In fact, there are many more antioxidants in in fruits and vegetables (such as red onions). Those also contain other beneficial compounds, like polyphenols, flavanols and anthocyanins. Many of those compounds are present in coffee too. But again, the levels are often lower. The image below highlights the antioxidant capacity of various products, measured by ORAC values. But, we drink coffee frequently. That's true regardless of income level or education. You can just look at the stats from Caffeine Informer to see that pattern. For that reason alone, people get large amounts of antioxidants from coffee (5). After all, it's easy and relatively inexpensive to have coffee regularly. You can even rely on instant coffee. In contrast, other sources of antioxidants are often consumed only by people who are intentionally looking to include antioxidants in their diet. Research suggests that around 79% of our polyphenols come from beverages (like coffee), compared to only 21% from food (6). The percentages won't be true for everyone, of course. But, they show why coffee is so significant. Antioxidant levels in coffee are lower than many other antioxidant sources. But, coffee is still powerful because we drink it so regularly. While the absolute number of antioxidants in coffee isn't revolutionary - there are still some powerful antioxidants present. The most significant ones are given below (7). Cafestol. This antioxidant is present in both decaffeinated coffee and caffeinated coffee. It has anti-inflammatory functions as well (8,9). Chlorogenic Acid. This compound is prevalent in green coffee beans but it is found in roasted coffee as well. It has been linked to weight loss benefits, although research is very limited. Regardless, it is an interesting antioxidant (10,11,12). Trigonelline. Levels of trigonelline are higher in roasted coffee than unroasted. Trigonelline is significant as it breaks down to vitamin B3 (niacin), which is an antioxidant. Some publications consider trigonelline itself as an antioxidant as well (13). Quinine. This is partly responsible for the bitter flavor of coffee, although only small amounts are present. The compound is considered an antioxidant by some authors, although more research is needed (14). Caffeine. Caffeine is an antioxidant in its own right. However, we don't know how strong its effect is in the body or how it works as an antioxidant (15). Melanoidins. These are responsible for the aroma of roasted coffee. They have antioxidant, anti-inflammatory and anti-bacterial properties (16​). Hyrocinnamic acids. These compounds are most common in cinnamon but they exist in coffee as well. They can significantly reduce oxidative stress (17) and are very active as antioxidants. As always, research is ongoing into these antioxidants and their implications. There is still much we don't know, including how each compound impacts the body. But, it's clear that coffee does offer antioxidants and these may help improve health. There are multiple types of antioxidants in coffee and they all have their own benefits. Even though coffee is still considered more as a vice than a virtue, the beverage is actually associated with a number of different health effects. One review focused on how coffee can improve the risk factors associated with cardiovascular disease, including blood pressure, antioxidant activity, inflammation and metabolic syndrome (18). Additionally, coffee has also been associated with weight loss and improved physical performance due to the caffeine and its impact on the nervous system (19). Likewise, coffee consumption has been associated with a decrease in risk of depression among females, suggesting that coffee may help prevent depression (20,21). Coffee can help improve mood, helping you to feel better (24). Coffee may also decrease type 2 diabetes risk (25,26). Most of the research has been observational, so the mechanisms of the impact aren't fully understood. But, the chlorogenic acid in coffee can decrease blood sugar levels (27). Research is likely to find other mechanisms in time. The links below highlight other research into coffee, along with the health implications. Coffee and Inflammation: Does Your Habit Help or Harm? Coffee has been associated with various benefits, including longer life, weight loss and decreased inflammation. Even so, there is a limit to how much coffee you can drink and still receive health benefits. For example, if you were drinking eight cups of coffee a day, you might have something to worry about, particularly due to the caffeine in coffee. After all, excess caffeine can cause some significant and noticeable side effects, including anxiety and the inability to sleep (so, coffee right before bed probably isn’t a good idea). The site FitDay is a good place for information about the various symptoms of too much caffeine. How much coffee a person should drink per day ranges depending on the individual as well as their personal preferences and requirements. For example, a person with a low tolerance for caffeine may choose to have fewer cups of coffee per day than a person with high tolerance. Likewise, younger people often have a greater desire for some of the impacts of coffee and caffeine, particularly people who need energy. However, some studies suggest that four to five cups of coffee is a good amount (28). Research varies but having between four and five cups of coffee may offer the best outcomes for health. The way that you consume coffee also has an influence on the health benefits that it offers. Sugar, milk and cream are all common additions, and add in extra calories. The calories from the additional components can quickly add up, particularly if you are drinking coffee multiple times in a day. Many people don’t take this into account, and find out that coffee actually promotes weight gain in them because of what they have in it. This means that as a general rule, the healthiest way to have coffee is simply to have it black. You can also have hot brew or cold brew coffee, depending on your preference. 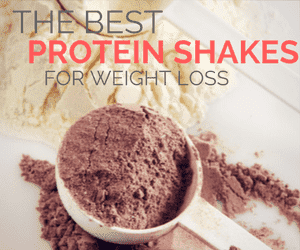 There are even some benefits from adding protein powder to your coffee. Even though caffeine does play a role in the health benefits of coffee, it isn’t the full story. People who choose to drink decaffeinated coffee will still get some of the health benefits associated with coffee, including the antioxidant element of the drink, however they will not receive any of the health benefits that are specifically associated with caffeine. Black coffee is often considered the healthiest. You can still add in other components but be aware of their calories. It's clear that coffee is much more than a treat and an energy boost. The drink is a great way to get more antioxidants into your diet. It can also promote many health benefits - perhaps even making you live longer. Great post, Vince! It really helped me in my upcoming article on anti-oxidants from “sinful” sources like coffee, red wine, and chocolates. Would you like to read it when it’s up? Glad I could help and yes, I’d love to read it.